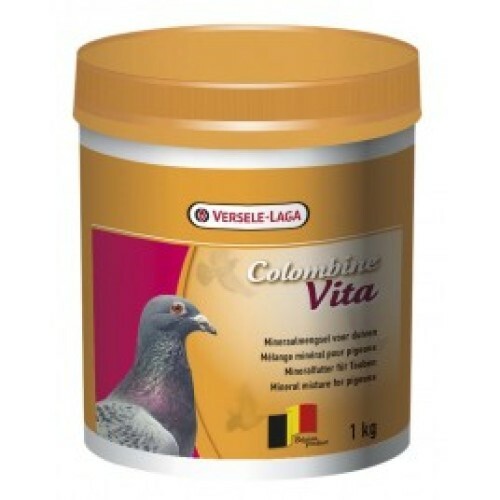 Colombine Vita is a food supplement for doves: it contains vitamins, trace elements and minerals in powder. Indispensable especially during the period of baby. Appetizing. - For pigeons in growth. To administer all the year round. It can be given separately or also can be mixed by the fodder in the proportion of 5 soup spoonfuls by kg of fodder. To renew every day.